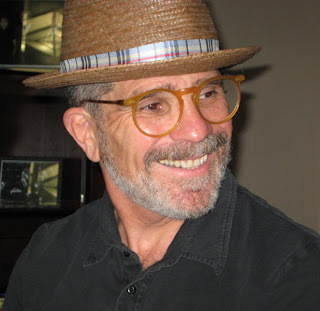 The Adventures of Megan Kathy Grace: David Mamet Wins! You may be familiar with TCG's annual list of plays that will get the most productions in the coming season; this year Peter Sinn Nachtrieb's boom took top honors. But after going through season survey (in the October issue of American Theatre, we discovered that while Nachtrieb's play will certainly get the most productions of any single play, he's not the most produced playwright this coming season. So we decided to do our own calculations to find out which writers take the honors, and we think the results, while not entirely surprising, are quite illuminating. They speak for themselves, but first two caveats: These numbers are compiled from self-reporting TCG member theaters; there may be another Crucible out there somewhere that hasn't yet made its presence known. And in the case of the most-produced playwright, two productions were added into consideration that weren't on the TCG season survey because they're Broadway productions. Without further ado, here they are: the most produced playwrights in America for the 2009-2010 season. UPDATE: We've gone over the list again and added a few blind spots: some big ones (McNally, Simon, Coward) and a few less obvious ones (Sheinkin, Hatcher).